Iranian President Hassan Rouhani criticized the large budget allocated to Iran’s Supreme Leader Ali Khamenei’s ‘Islamization of Science’ project. Rouhani said during a speech on Saturday at the 31st round of the Khawarizmi International Festival that spending this much money on religious institutions contributes nothing to the development of the country. “We have no Islamic car industry, nor Islamic physics or chemistry,” he said. He also described efforts to add Islamic principles to science as failed. According to the Khabar Online website, the Iranian president called for "scientific interaction worldwide and freedom of scientific research." He said in a speech that "adding the Quran on the car dashboard does not make it an Islamic car," while criticizing the idea of “dividing sciences into Islamic and non-Islamic”. He added that searching for the explanations of any science in the Quran or religion and trying to link their origin with religious verses is not correct. The Iranian president criticized the budget allocated to the ‘Islamization of science’ project saying that much of the money spent on attempts to add an ‘Islamic touch’ to science. However, he said that algebraic algorithms and mathematics cannot be classified as Islamic or non-Islamic through Islamization and large spending. "Science is not linked to ideology. We have different perspectives in the country, but we cannot say that biosciences belong to the fundamentalists and mathematical sciences belong to the reformists. Science knows no boundaries, meanwhile some want to make physics and chemistry Islamic and spent a lot of money and time on doing so… Algebra is algebra and mathematics is mathematics,” Rouhani said. Meanwhile, the supreme leader, Ali Khamenei, strongly opposes the teaching of social sciences at universities, where he repeatedly called for the teaching of ‘Islamic sciences’ instead. The budget allocated for religious institutions in the coming year is set to increase by 10 percent, which will give them $550 million. 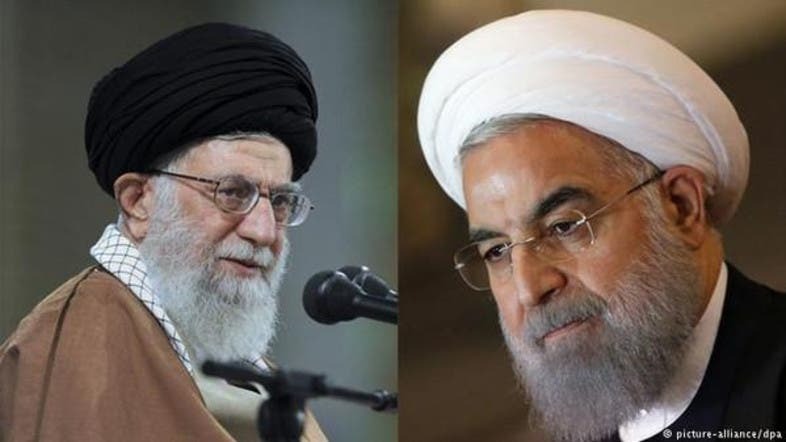 The budget allocated for religious assets has increased by 26 percent during Rouhani’s era, in addition to the allocation of special budgets to be spent on institutions promoting the principles of the Vilayat-e-Faqih (the guardianship of the Islamic Jurist). About $75 million was allocated to the al-Mustafa International University, which is a religious university that provides education for international students inside Iran and abroad. A further $23 million is given to the Khamenei’s Revolutionary Guard representative, to spend on the publicity of the 1979 revolution and spiritual celebrations. It is also used to direct and promote the political vision and ideas of the revolution and to support pro-Iranian militias in the region.